Teddy Melton in the House? Yes, Teddy Freaking Melton. Chanda Lynn, Megan, and Hager talking about the forgotten generation. Jay Dow of SOBER MOTOR COMPANY, and Jeff Goins, Jordan Wilson, and Germaine Dunn of RISE UP! Isaiah House, in a Field, in Kentucky. The boys go on remote… Dallan doesn’t hit the record button. 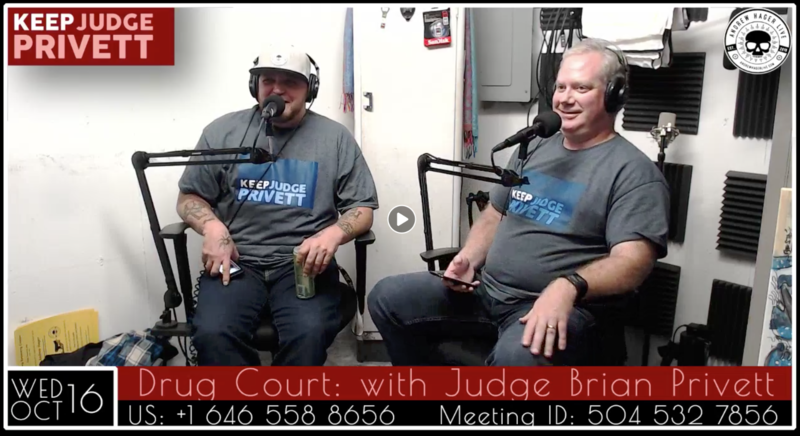 #KeepJudgePrivett is in the house again. Get in here already. It’s an Andrew Hager and Dallan show. These are special folks. 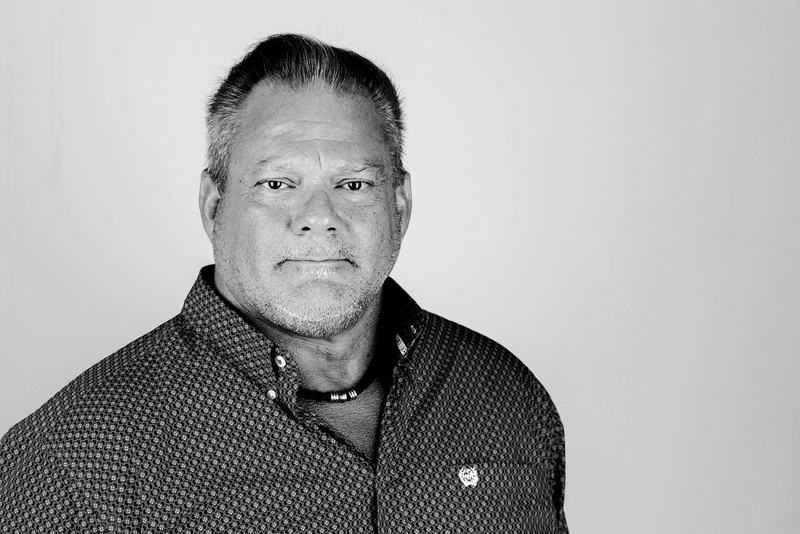 David Louis Norris Jr. of Illinois shares his passion and his message of recovery with Dallan and Andrew… and all of you! Andrew and Dallan find a way to laugh even in the face of very serious topics. Are they messed up? Absolutely. Join us! 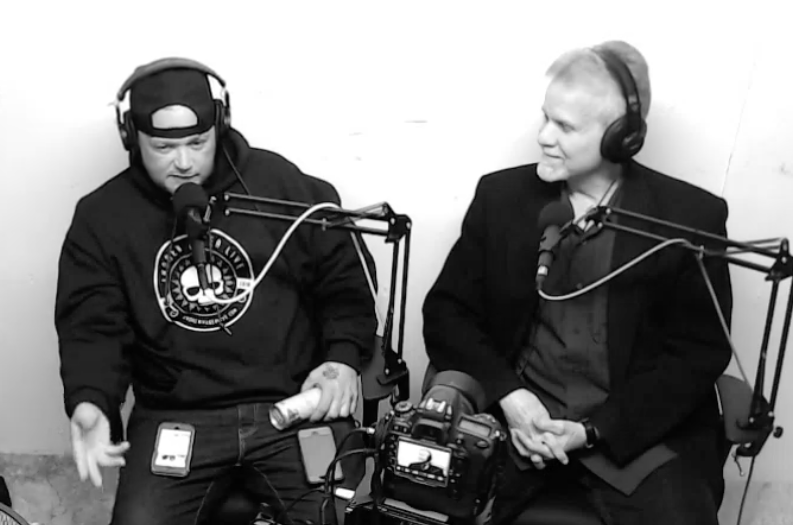 Former NLF pro Randy Grimes and Dope to Hope’s Tim Ryan join us for a special Sunday episode. 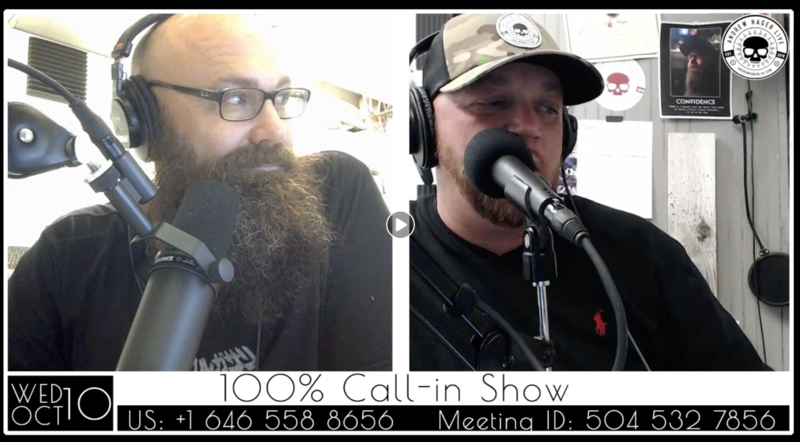 Randy shares some of his personal story as well as fields your calls. Join us! Danielle Sanders brings an epic night to the studio. Many calls poured in from people grateful for the changes Danielle made in their lives. 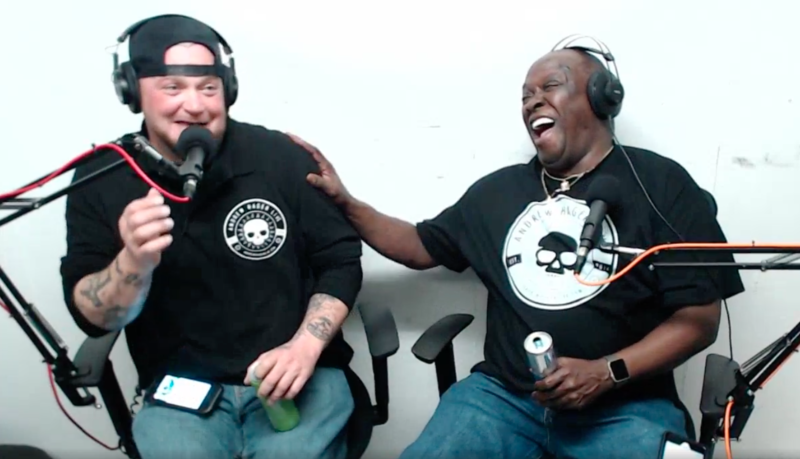 Kentucky’s finest joins us for a night of straight talk and insight about how your life can turn around, even when it seems it’s over. 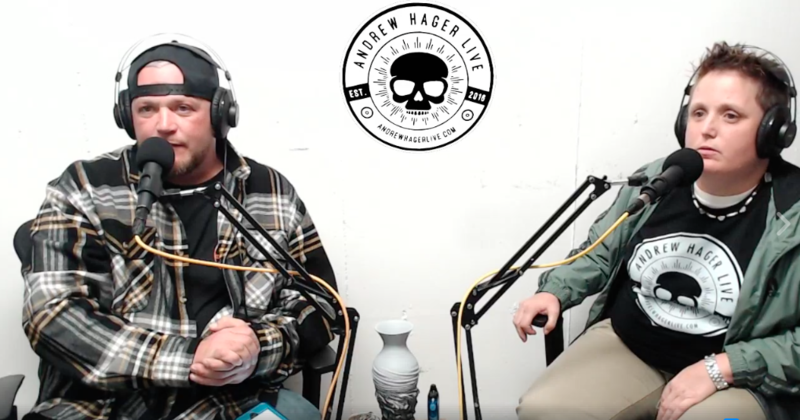 Pastor Chris Norman is a pivotal influence in Andrew Hager’s recovery. 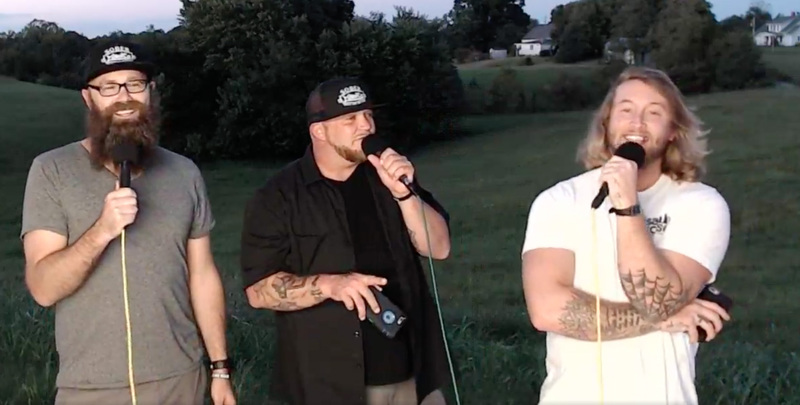 Chris, Andrew, and Dallan talk about how that happened, and how it can happen for others trapped in addiction. Tammy Morris helped Andrew at a critical point in his life. 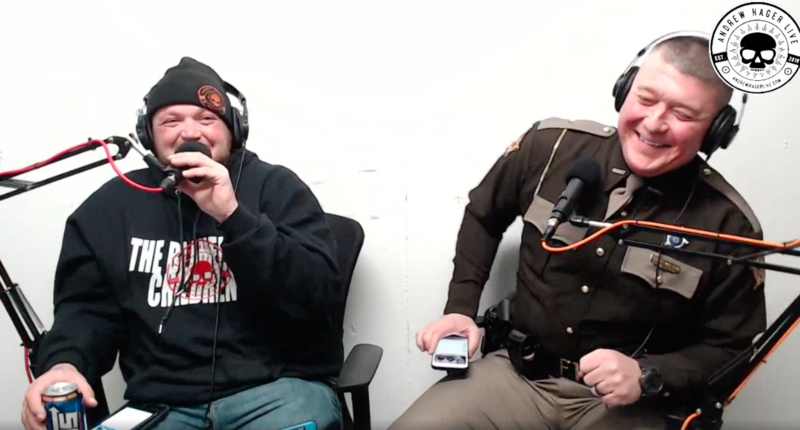 Listen in as they field calls and celebrate Andrew’s birthday. Earlier this summer Dallan met Lt. Matthew Brotherton at the Lexington Pride parade event and had a great conversation about addiction. 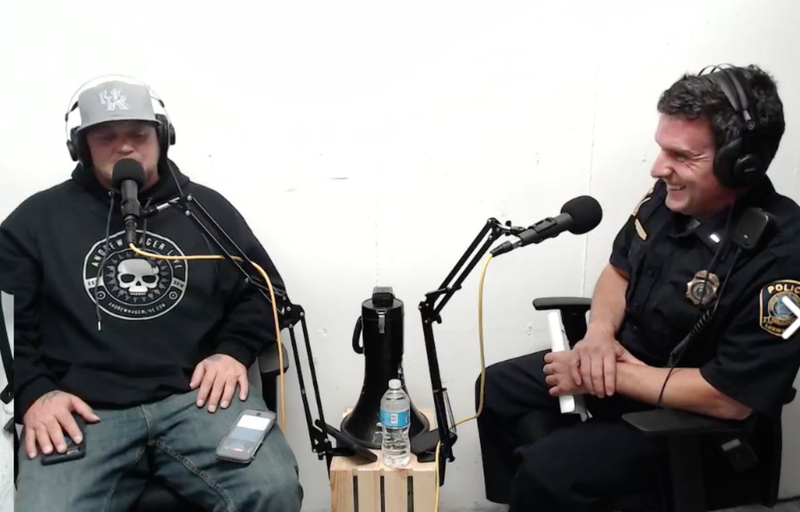 Tonight, Andrew and Dallan talk with him about what it takes to be an officer in the age of Narcan and some of his insights into addiction. Sometimes you meet someone that unexpectedly blows your mind and that was certainly tonight’s interview with one of Lexington’s finest. Sisters Rachel and Jessica join the guys to tell their story. While deep in her addiction, Rachel found herself not only in jail, but vilified on the local evening news. 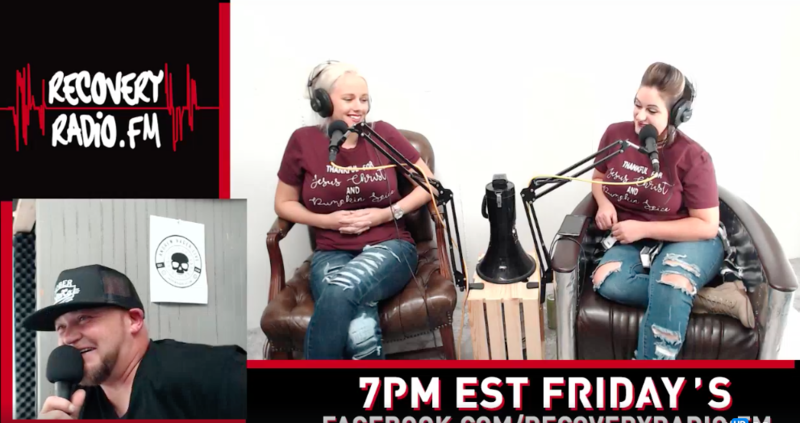 We learn from both perspectives in this very special episode originally aired on RecoveryRadio.fm. The boys take the show on the road to visit Isaiah House. This is a road trip baby! They end up seeing some amazing country and talking about the benefits of recovery. Tanya Meeks and Larry McCoy stop in to talk about the fight against heroin and homelessness. 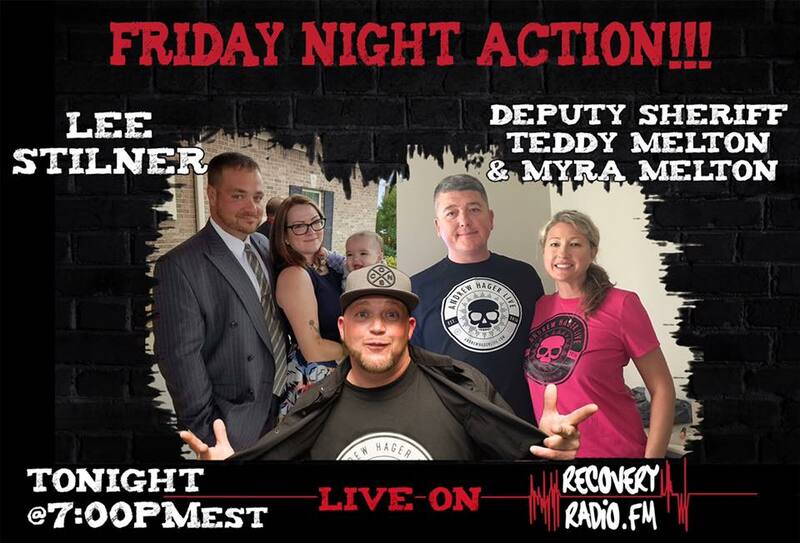 Tanya is the president of Stop Heroin Lexington (provider of a ton of Narcan training and supplies), and Larry McCoy runs Unofficial Unleashed bringing music, and recovery to the homeless, with a focus on homeless vets. 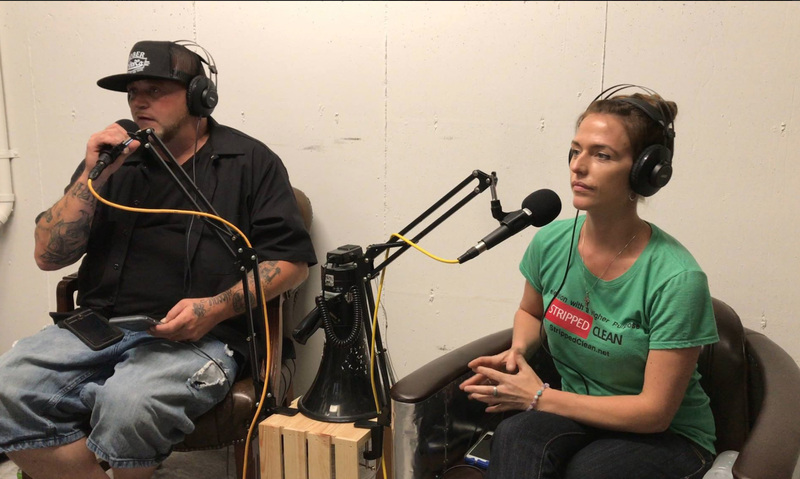 Amanda Quimper of Stripped Clean visits our Kentucky basement to share all about her documentary film on the opiate epidemic. She also shares many of her visions that lead her in this direction. Adam Hayes also jumps in to share about his recovery. 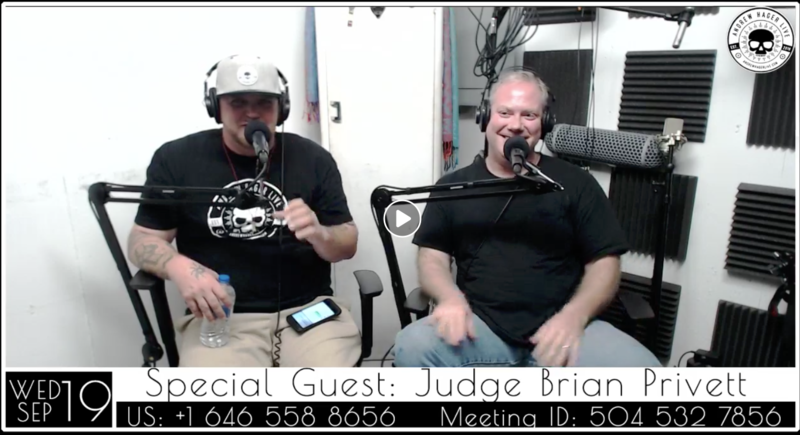 The audience is the guest as Andrew and Dallan talk recovery and some upcoming events, with a special focus on Hopestock 2017. 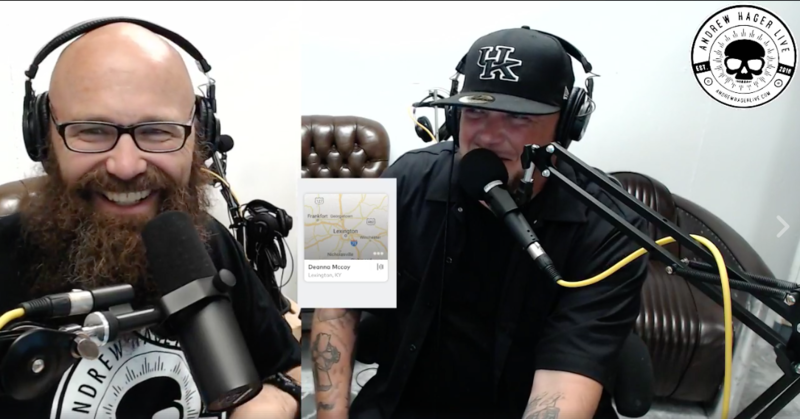 Teddy Melton brings recovering alcoholic Lee Stilner onto the show to talk (and sing) about the challenges their hometown of Pikeville, Kentucky has had, and continues to have. Of course no show is complete without some thoughts and motivation from our own, Andrew Hager. Twelve-year-old Mikaya Taylor released her first CD Small Town Big Heart in 2016, and she is very grateful to have had some of the most talented musicians in the business be a part of that project. She has very recently recorded her first single “I Never Really Knew Him.” It is an original song written for Mikaya by Barbara Owens and it is about Mikaya’s personal life. John Herndon of Anderson News has this to say about Mikaya’s new song: “Singing sensation debuts song describing life without a dad.” You can find the new song, download it and listen to it by going to http://cdbaby.com/cd/mikayataylor. 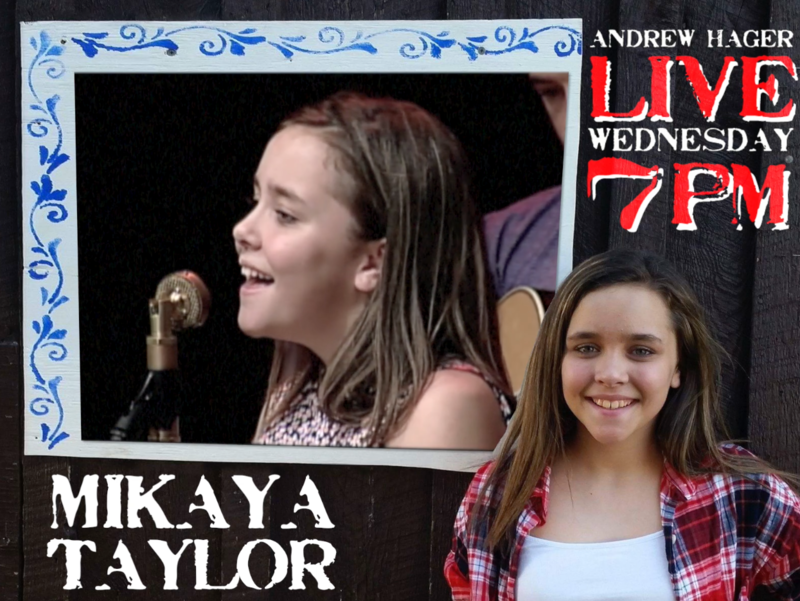 You can also check out Mikaya Taylor and Raging River on Facebook for more videos and photos. 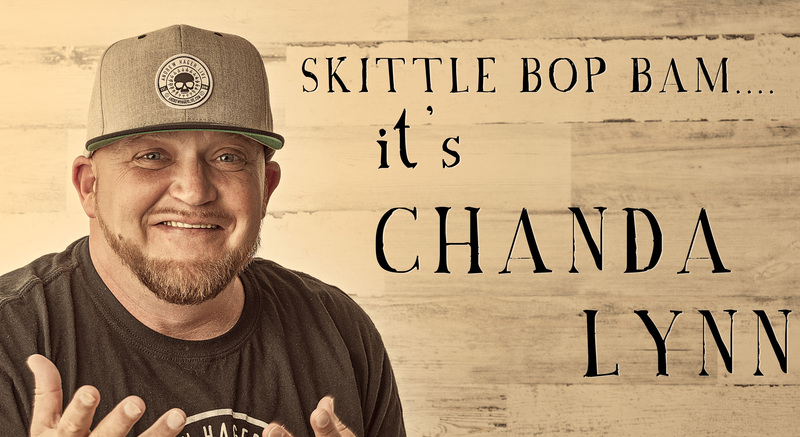 Join the Andrew Hager Live team as they have an exceptional night of recovery and music with Jay Dow of Sober Motor Company, Jeff Goins, Jordan Wilson, and Germaine Dunn of Rise Up! It’s a party up in here. 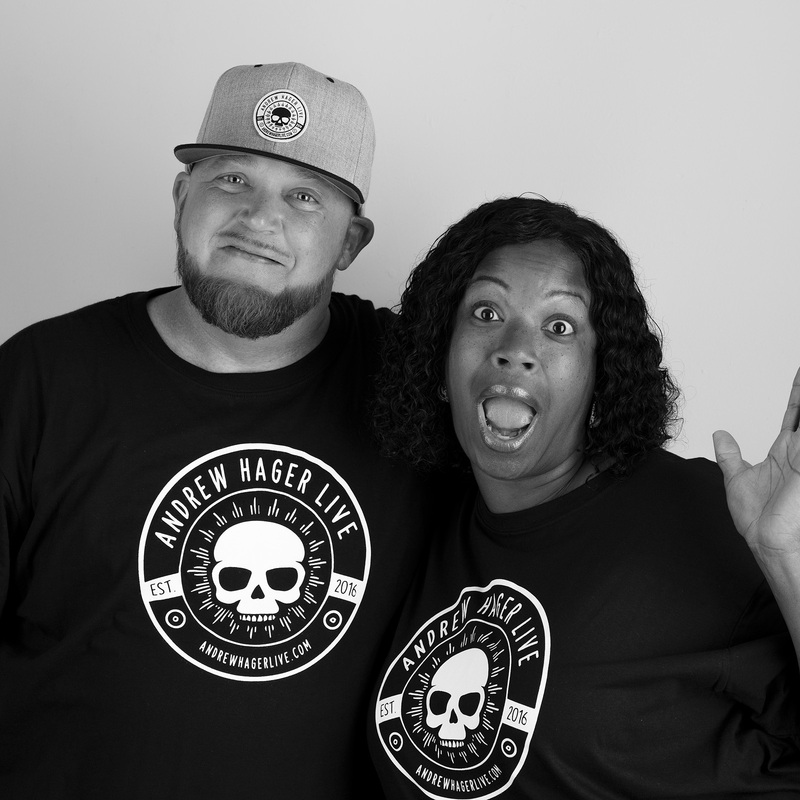 If you’re sick and tired of being sick and tired but want recovery that isn’t boring and stale, join us every week on Andrew Hager Live! 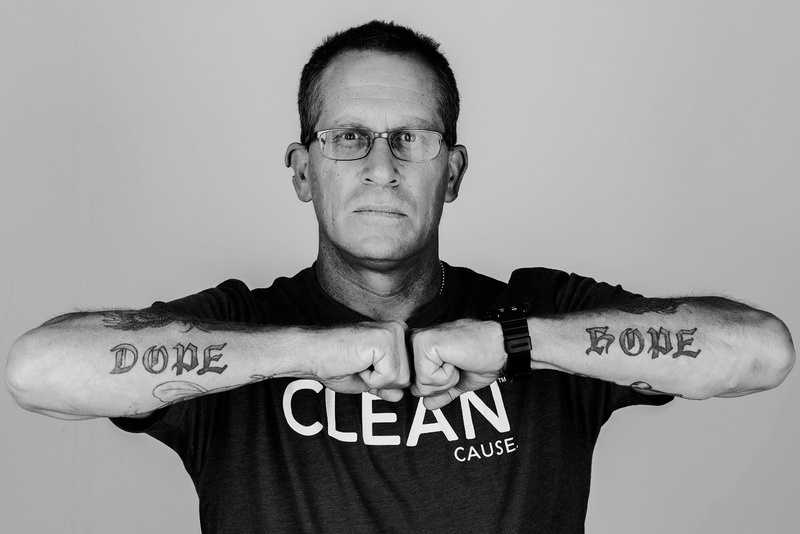 We’ll be taking on addiction and inspiring each other to win, every single day! Check out our Website for information on our message, and if you need help to overcome your challenges or the challenges of your loved ones, reach out to us on Facebook.